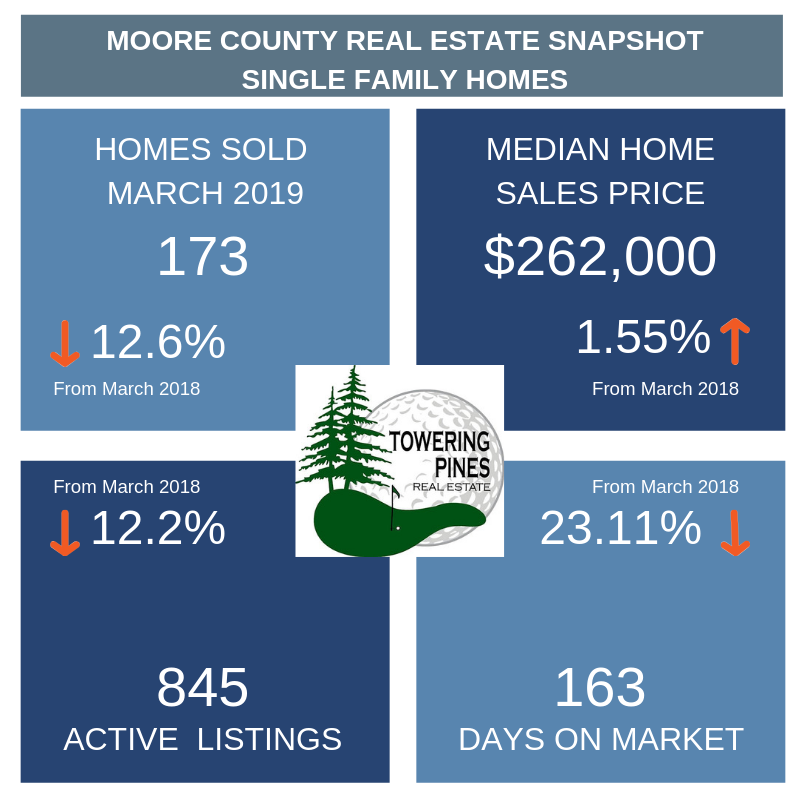 This month we are looking at the Moore County housing numbers from the perspective of the buyer. Compared to last year at this time, we are seeing 12% fewer homes available and 23% fewer listings. What does this mean to you? In a Seller’s market, like the one we are in, homes move quickly. It means if you find a home you desire, you will need to move quickly and be prepared to make an offer – that day if not the next. One thing we cannot stress enough is to be pre-approved from your lender. Being pre-approved benefits you by knowing how much you really can afford, and it improves your purchasing power because the Seller will have confidence you can be financed quickly. In some cases, Sellers may stipulate they will only work with a Buyer who is pre-approved. Are you ready to start your home search or have questions about our market? Contact a Towering Pines Agent today to help you navigate today’s real estate market.